Marketers have long understood the benefits of ab testing content on their site to increase subscriptions, signups, and sales through small changes on elements of their site. In this increasingly interactive web, have you considered the placement of your social buttons? Optimizing your public image can result in more shares, followers, and an increase in clickthrough rates to name a few advantages. In this article I’ll discuss ways to test your social presence in creating a solid site strategy. Where Should Place the Buttons? 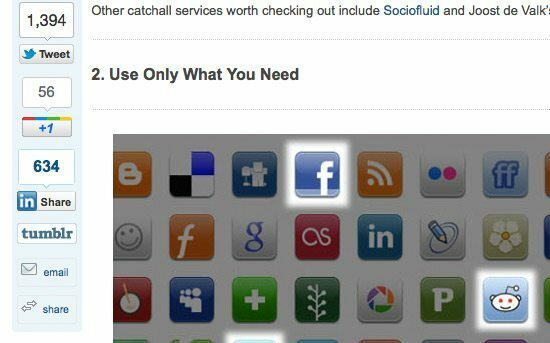 Social buttons have the same functionality as call to action buttons in that they lead to higher conversions. These conversions come in the form of shares of your blog content or a new Facebook fan. Just because your social button placement works well in one area doesn’t mean it will in another. Experiment with button placement and a/b test the social action over these pages to see which works best. Don’t put too many social buttons on your site. You may find three key sharing locations works fine, but test it out to see which works best on your site. Keep in mind too many social buttons can overwhelm and thus lead to lower conversions. If you run an e-commerce site, avoid using social buttons on the checkout page, as this could distract the customer from the checkout process. Products pages, blog posts, and the homepage are a few good places to place them as these places attract the most amount of traffic. First impressions are important and this is especially relevant when you’re trying to attract new fans and followers. The first step in optimizing your profile is to have a professional image of yourself to include on all you profile pages. Secondly, make sure to include a bio and description, as these things contribute to higher search engine rankings. The next aspect of sharing content is knowing when to do so. You want to identify when your followers are online so your content is seen and the chance of conversions, retweets, and reshares are increased exponentially. 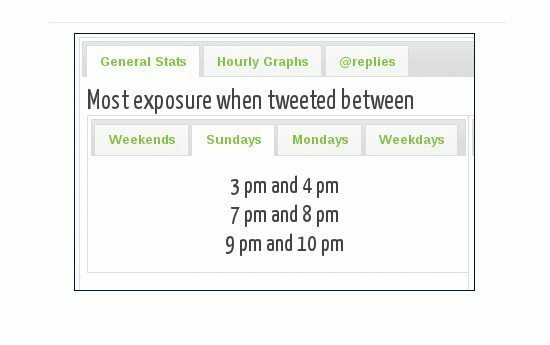 These tools allow you to find out when your followers are online so you can tweet when it’s most advantageous to you. Social media is a crucial element of today’s web landscape. Before you jump into this multi-faceted marketing channel, it’s important to step back and analyze what is the best strategy for reaching your audience in the simplest way possible. In this article I’ve presented key elements for you to consider in getting the most out of your social profile and attracting the most fans and followers to your business. Do you have methods of attracting fans to your business through social means? Let us know in the comments. What Does Google+ Mean For My Blog?